I participated in a legion assault. Since I was sub-110, I couldn't do the 3-man scenario after 4 quests, but I did get a LOT of xp (plus a hidden bonus of racking up almost 4000 nethershards by max level). I did on the other hand run all of the legion invasion quests in the zone. I started questing in Highmountain, since that's the home zone of the hunter order hall. I still haven't completed the quest chain. 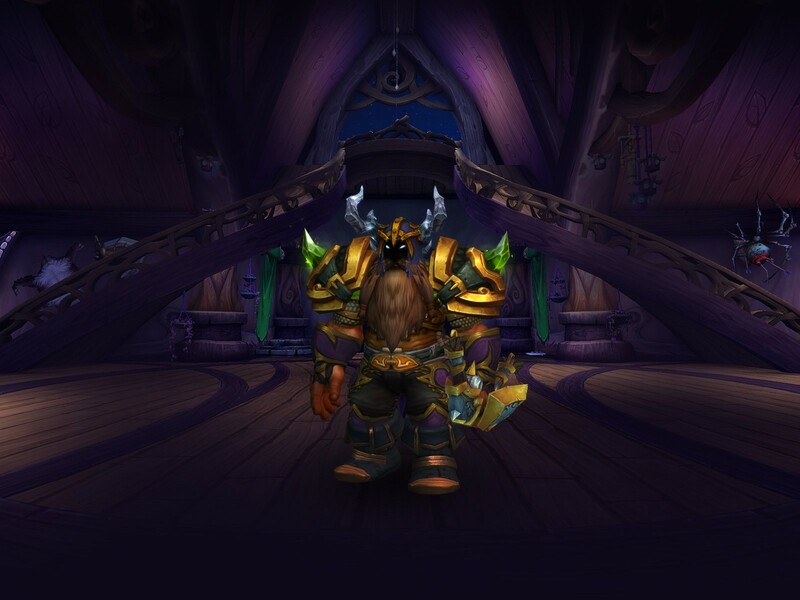 I've gotten about half way through the Order hall campaign. Still haven't opened up the 3rd relic slot on my weapon. Currently at Missing Mages and realized that I'll need to open Suramar to continue. I started the engineering quest chain, but got stuck on roughly the 4th quest (create Reeves Snack unit) because I didn't want to buy 80 felslate off the auction house (when my paladin can mine it up rather easily). At 110, I ran immediately over to Broken Isles. This helped opened up the second ring on my artifact weapon and allowed me to spend all of that AP that I grabbed. The quest chain is rather short, mostly some flying around doing huntery things. Last night, Sunday, my guild had an alt run night. We ran 3 of the 4 mythic dungeons (for the weekly quest) the other night. Since I was DPS and our healer was tanking, we went without a healer at all. It was either 2 tanks and 3 DPS or simply 1 tank and 4 DPS. Sure, we wiped 4 times on Helya due to AOE damage, but overall it wasn't that unpleasant. With a warlock and mage, we had some self-heal options available. We had to take trash pulls slower due to Erlenmyer needing to eat between each. In the end, he managed to replace several dauntless items bringing him from 839 to 847. All Beast Mastery Hunters should have a battle resurrection pet and a Bloodlust pet ready to go. Quilens, Moths and Cranes bring battle resurrection, and Nether Rays and Core Hounds bring Bloodlust. If your group already has Bloodlust in it, you should generally default to a battle ress pet in dungeons. A resurrection pet would have been awesome after the many wipes in the mythic dungeons. I can easily zone back to Pandaria and go tame a Quilen (Mogushun Vaults anyone?) I'll have to think about what to name it..